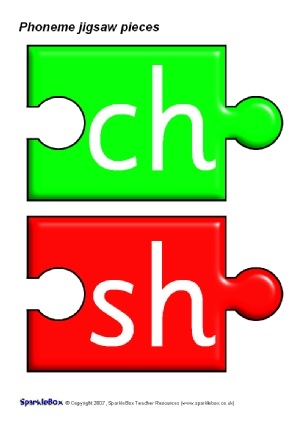 A PDF document with the 26 lowercase alphabet letters presented on different coloured jigsaw pieces (2 per A4 page) These are prefect for use in large-scale word-construction and spelling games. 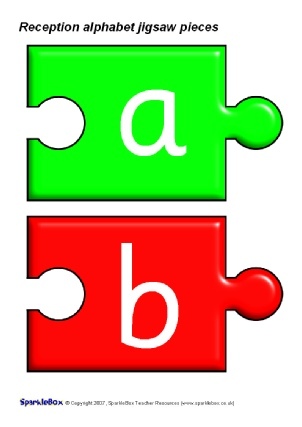 A PDF document with the 26 uppercase alphabet letters presented on different coloured jigsaw pieces (2 per A4 page) These are prefect for use in large-scale word-construction and spelling games. 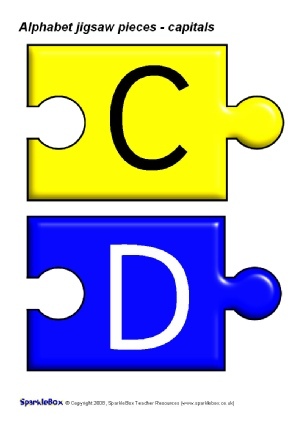 A set of colourful printable jigsaw pieces featuring all of the phonemes listed in the DfES ‘Letters and Sounds’ publication. Cut out and laminate, and use with pupils to make up words by connecting the jigsaw pieces. Also great for use on interactive classroom displays. A set of colourful printable jigsaw pieces featuring all of the Phase 5 phonemes listed in the DfES ‘Letters and Sounds’ publication. 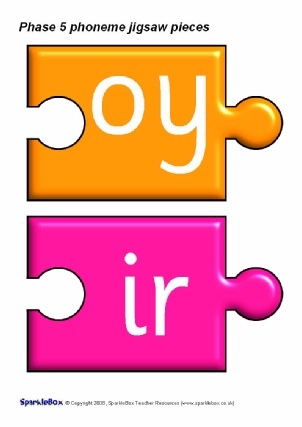 Cut out and laminate, and use with pupils to make up words by connecting the jigsaw pieces. Also great for use on interactive classroom displays.